Bright red apple with light yellow, crisp and sweet flesh. Large fruit with succulent flavor, excellent for eating and salads. 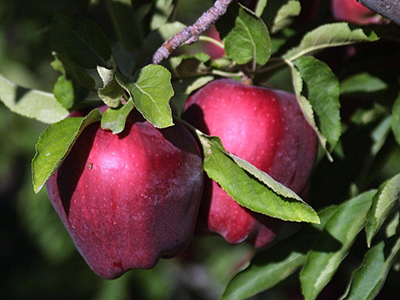 Flowers late season, ripens early to mid October. Requires a pollinizer variety for pollination. Winter hardy to -20 degrees F.